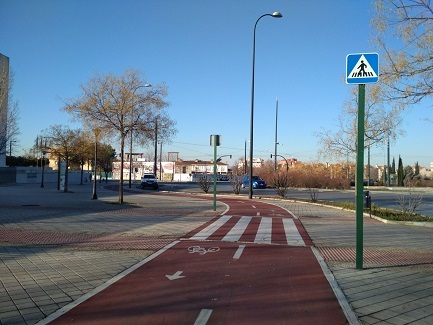 On the following map we can see the location of ciclyst infrastructure (bicycle lanes, bicyle sidewalks, cycle roads and bus-cycle lanes) across the city of Granada. 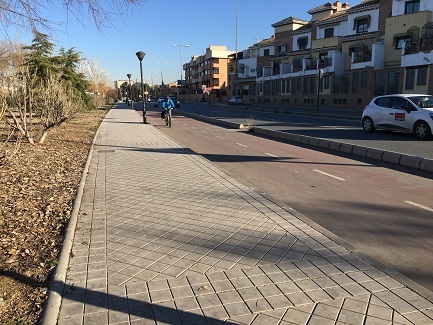 You can download cyclist infra of Granada in KML file. 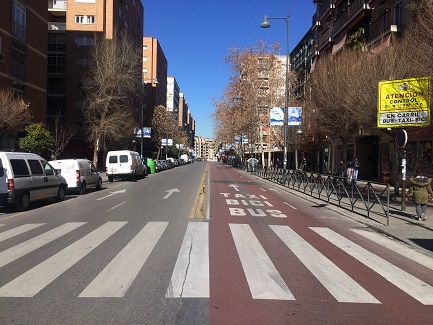 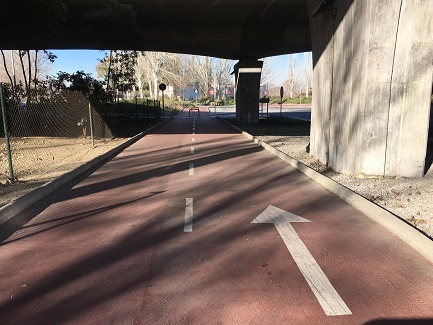 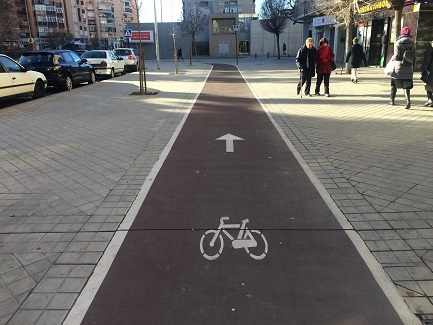 Also, bicycle users can circulate through bus-taxi lanes and access control points in Granada.